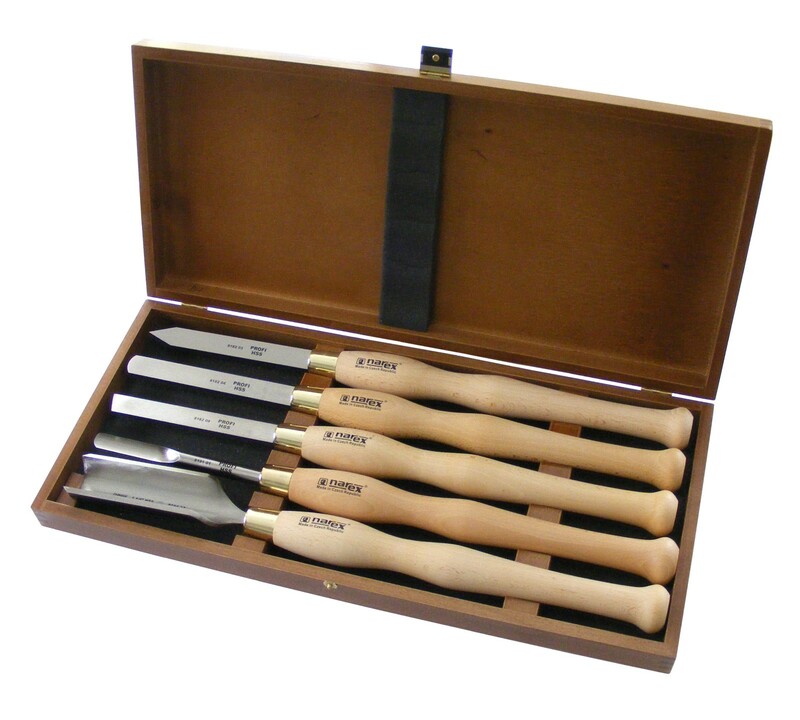 A Narex Woodturning Chisel Set "HSS LINE PROFI" in a Wooden Box. The Blades of these Chisels are made of quality high speed steel POLDI and heat treated up to 64 HRc. 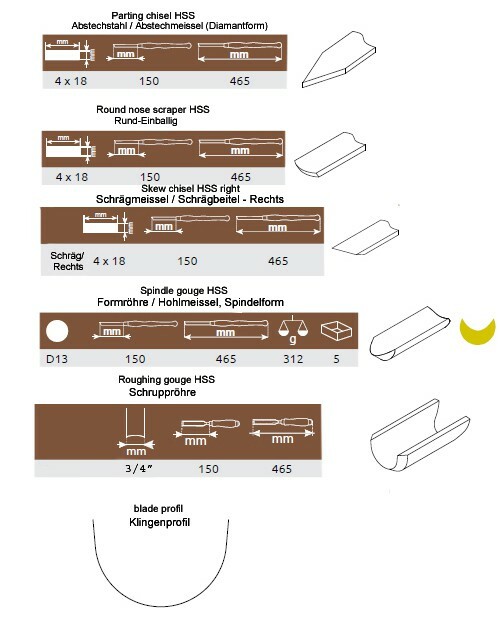 Compared to standard types, the Durability of these tools is several times higher. The high-quality HSS - the tool steel can hold much longer the correct degree of sharpness. The handles are made of natural beech wood and have been waxed.